The Jeremy Lin story is absolutely incredible. We are having trouble keeping any of his cards in stock. So we have decided to run a contest. For the rest of the month of February, you can ship us any Jeremy Lin cards, and we will give them FREE Next Day processing. Simply make sure that is easy to find the Jeremy Lin cards and have them labeled with “Lin Special”. 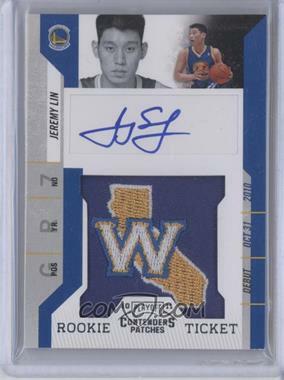 Whoever sends us the most Jeremy Lin cards by February 29th will win $100 store credit. We don’t care about value. We are just interested in getting as many as possible. The cards must arrive by February 29th to be elligable for the $100, but they only need to be postmarked by February 29th to get the FREE Next Day processing. Free processing & a chance to win… It’s a Lin-win situation. Here is a list of all Jeremy Lin cards currently released. Happy Hunting! ← Just finished the most insane day ever! don’t compare this guy to Steve Nash, please. Lin turns the ball over about 7-10 times a game. Sell now. Calderon is better. Perhaps in the meantime for those of you who DON’T care TheDivaHalleyCards will set her auto-accept at 25% by Tueday the 6th, run a port sale ad accepting the best offer over 10% BV on Thursday and go into a DIVA STYLE SHOPPING SPREE on COMC starting all without a single Jeremy Lin card comin into the mix like many a man I’m not all that impressed as of yet with Jeremy Lin now Kobe on the otherhand that’s my MAN!! !